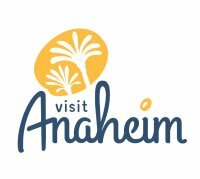 Disneyland® Resort Park Hopper® Tickets: Allows you to have access to both Disneyland® and Disney California Adventure® Park. With the Disneyland® Resort Park Hopper® ticket you can visit both parks on the same day for one great price! Magic Morning: Allows you admission to selected attractions in Disneyland® Park on Sunday, Tuesday, Thursday or Saturday before the park opens to the general public. Ticket prices are subject to change at any time without notice.